I’ve recently received another book from Blogging for Books to review. The great thing about Blogging for Books is that you get to choose the book you would like to review. 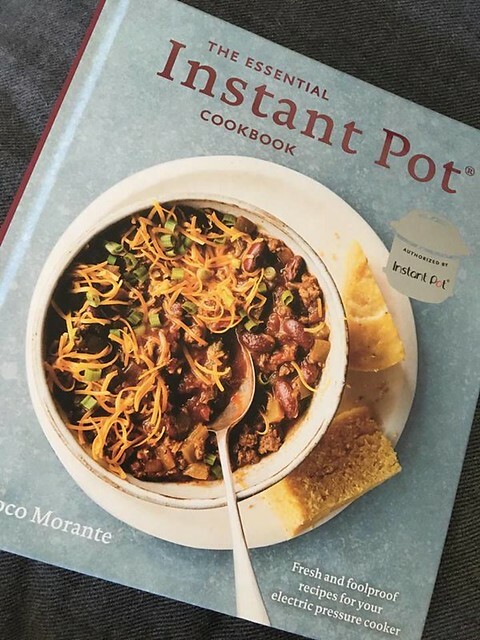 I’ve had an Instant Pot for about 2 years now and have always loved it, so I thought it would be great to get The Essential Instant Pot Cookbook by Coco Morante. I am SO glad that I chose this book as it’s already been used quite a few times! I’ve mainly been using my Instant Pot as a slow cooker. It has a great ‘saute’ feature which is my favorite by far as it means I can start the cooking process in the same pan as I’m doing the slow cooking in. This enhances the flavors of dishes so much. 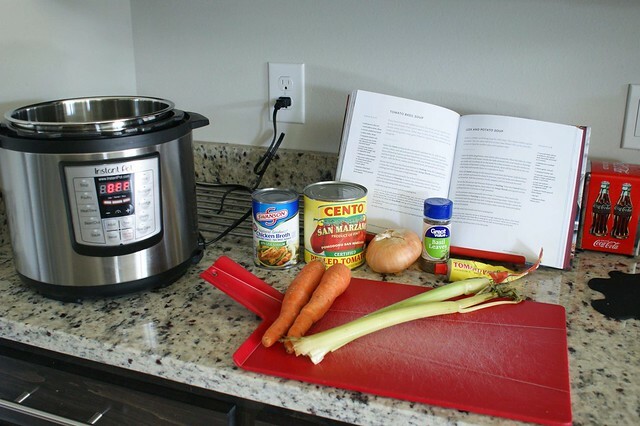 This cookbook focuses more on the other use of the Instant Pot: Pressure Cooking. I’d never used the pressure cooker aspect before so I was excited to get started. The first recipe I tried was a simple Tomato & Basil Soup. AMAZING! This recipe has few ingredients and takes about 30 minutes to cook from start to finish. As everything is in one pot, there aren’t many steps to take either. So I sautéd the onion, carrot and celery until soft. Then I added everything else and cooked using the Soup pressure cooking setting on high for 10 minutes. You then have the option to add cream & puree, or you can omit the cream and just go ahead and puree. Let me tell you, this soup is so delicious! We eat it with some crusty bread and sprinkle some cheese on the top of the soup. I’ve already made it 4 times, and it makes about 5-6 portions. 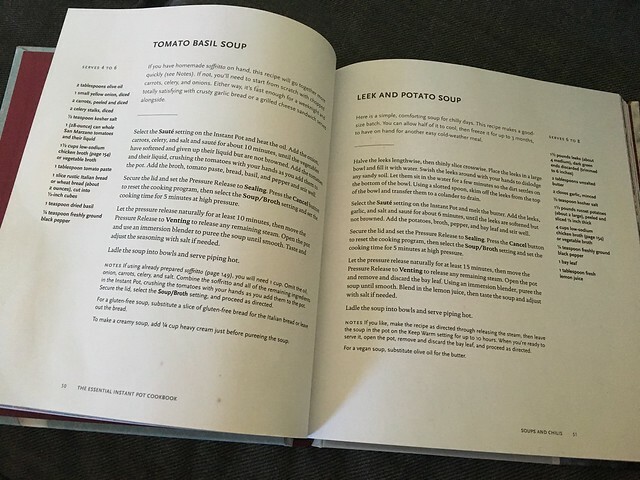 Another easy soup we’ve tried from the book is the Leek & Potato soup. Again, it’s very easy to make, tastes great & makes 6 portions! Unfortunately, I forgot to take photographs of the finished product but soup is exactly what you’d imagine it to look like! I’ve also made the Mac ‘n’ Cheese a couple of times too. 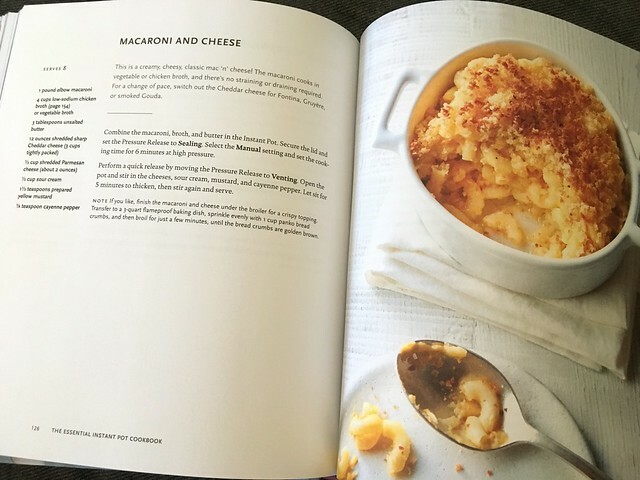 Usually we aren’t Mac ‘n’ Cheese people as we find it a little bland but I wanted to give this a try as the recipe uses ingredients I would never have thought were in it! This was even easier to make than the soup and I loved that I didn’t have to stand over a pan watching it. You just pile in the macaroni, broth & butter. Then pressure cook for 6 minutes, and add all the other ingredients afterwards. We added the panko breadcrumbs and grilled it too. Yum! I would love to know if anyone else uses the Instant Pot for pressure cooking. What are your favorite meals to pressure cook? Let me know! Growing up in the USA all my friends young and old loved mac and cheese. Especially friends from the South. I hated it! LOL! But my Scottish Gran loved garlic and cooked with it in everything. So I thought why not add garlic! That was the trick for me! :o) Then I could eat it! Same with Grits, couldn’t eat them until I added garlic and tomato! We even have a granulated garlic shaker on our table! Altho fresh roasted garlic is preferable! :o) My Scottish Great Gran ate garlic raw for health! I’ll have to check this book out! I just got an instant pot for my hubby, we’ve made beef stew with the pressure cooker. It was ok, but I can’t wait to try more recipes!